Dhruvsoft has developed and deployed a Salesforce.com Portal / Community for Sponsors of a Non Profit from Ireland. The Non for Profit Organization takes the donations from donors to sponsor the education of children in India. 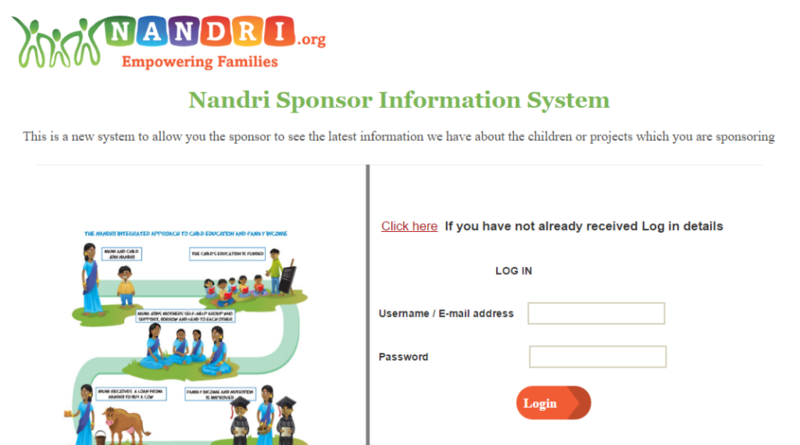 The Sponsors portal called “Nandri Sponsor Information System” helps donors or sponsors to review the performance of their sponsored children online. Client is an Ireland based Non Profit organization – Child Aid Ireland-India / Nandri. Nandri is a registered name of Child Aid Ireland-India, a limited by guarantee company and registered charity. They help supporting almost 3,000 mothers in almost 200 mothers’ self-help groups and Child sponsorship for over 1100. Client is an organization that lets sponsors in Ireland sponsor the education of children in India. Client wanted to create a portal where sponsors (or donors) can login and see the information of their sponsored child and their progress report. DhruvSoft has developed a Sponsor Portal using Salesforce.com sites. The portal has details of children sponsored by the contact (Sponsor) including their education progress information. The system facilitates easy updates to children’s current images, messages from children to sponsor. In addition to sponsoring a children the sponsors can also sponsor projects and see the progress of their projects. DhruvSoft has executed project for this client with expertise and knowledge in Apex & Visualforce development, Force.com Sites, Salesforce Community, Salesforce.com Customization and Salesforce.com Administration. The deployment of sponsor’s portal has increased the confidence of donors from Ireland to sponsor the underprivileged children thousands of miles away. They can visually see the progress of child they are sponsoring and the organization was able to convince and attract more sponsors.